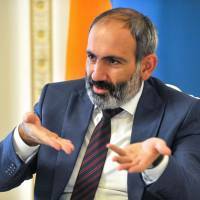 YEREVAN - Nearly two months after mass anti-government protests propelled him to power, new Armenian Prime Minister Nikol Pashinyan has launched an all-out crusade against corruption that has long eroded the ex-Soviet republic. Armenians were under no illusions about their ruling elite, but allegations that a former war hero diverted humanitarian aid to feed animals in his private zoo have shocked the public. Pashinyan was elected in May after he brought tens of thousands of people onto the streets of the poor South Caucasus nation against deeply unpopular veteran leader Serzh Sarkisian, forcing him to resign. As an MP who headed a small opposition party, Pashinyan built his popularity on promises to uproot the endemic graft that has long been the cause of anger against leaders. Last month, investigators began looking into alleged crimes within the government, arresting two senior officials. They also started investigating the army, customs officials and school. Searches were made of the houses of Sarkisian’s brother and nephew. Investigators said the company of the former had failed to pay some $600,000 (€514,000) in taxes. But the biggest shock was in mid-June when police arrested retired army general Manvel Grigoryan, who was also an MP in Sarkisian’s formerly ruling Republican party. The 61-year-old hero of Armenia’s war with Azerbaijan in the 1990s over the breakaway Nagorny Karabakh region was accused of large-scale misappropriation of state goods and illegal arms possession. Republicans initially denounced the arrest as “unlawful and politically motivated,” but after prosecutors released evidence relating to the charges, they issued a statement renouncing him as a party member. Public television aired video footage of the search in Grigoryan’s country mansion where police found a cache of weapons, a collection of luxury cars along with vehicles that were intended for the military but registered in the names of his relatives. Investigators claimed Grigoryan — who was in charge of delivering humanitarian aid to the army in his capacity of the head of the military veterans’ union — used food parcels sent by schoolchildren to Armenian soldiers to feed animals in his own zoo. He has been stripped by parliament of his immunity from prosecution as an MP and placed in pre-trial detention. 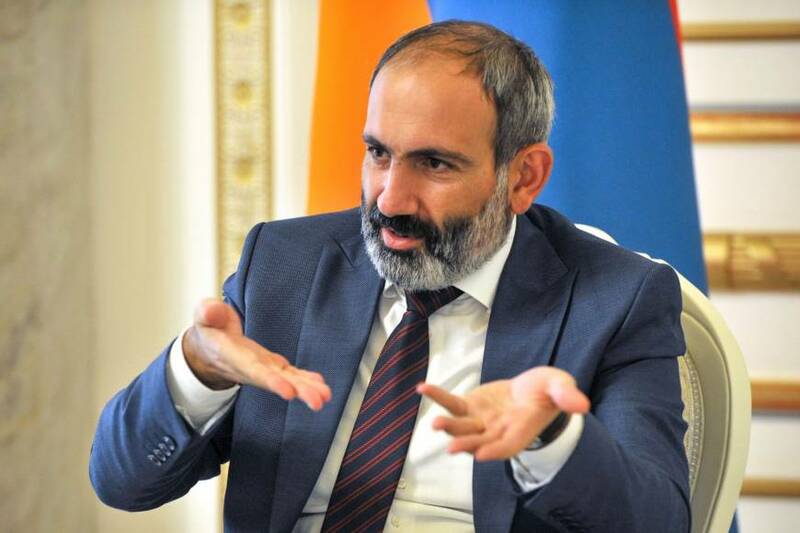 “We are dealing with the biggest corruption exposure in the country’s history,” Pashinyan told his cabinet. The crackdown has also exposed tax fraud by major companies linked to the Republican party. Analysts said the extent of corruption revealed since Pashinyan has come to power had dealt a death blow to the Republicans. “The corruption in Armenia is a Soviet legacy, but even in the Soviet era it was not this ugly and widespread,” independent analyst Hakob Badalyan told AFP. “Pashinyan and his government pursue the anti-corruption struggle step-by-step, cautiously as they realize that some powerful forces might try to fight back,” said Hakobyan. Last week, Pashinyan’s closest ally Artur Vanetsyan, who heads Armenia’s national security service, told journalists he was getting intelligence about “certain groups” plotting to kill him and the prime minister.